The greatest contributors to doubt and anxiety are mostly the things that we do not understand. If it’s your first time to self storage then your confusion to some things are understandable. Especially if you are now looking at the heap of stuff you need to store, but can’t decide whether or not you can afford storing them, which is causing you dilemma. Certainly, there are several factors affecting self storage cost. But these factors do not necessarily affect only the quote you get. Some affect the standard quote in general. Conversely, due to competition in the self-storage industry, promotions and deals are made available. You might even be surprised at how low your own self storage cost quote can go. Hence, there really is no danger to make a simple research to get a rough estimate how much can it probably cost you. Self storage, in fact, is a very good investment. Especially, if you are running a business and your storing needs are primarily business related. Or if you are trying to move, and you are still trying to size your new place for all the new and old stuff you need in the new place. Modules are the main storing equipment in Macy’s. One module on average can store the contents of one room. This is the conventional ratio. Although for certainty, you can order an extra module. And if the extra will not be of use, then you don’t need to pay for it. Prices go up the more modules you need. But we are only counting the modules that you’d actually use. And we make it a point to give a competitive price. The simple rule of thumb is “Less is more and More is less”. The more modules you use, the less you pay. The longer your stuff stays in our care the less you are to pay for it every month. That’s right! You read it right the first time. It contradicts the conventional assumption. And you can rest assured that we will take good care of your stuff while we have them. Our facility is secured with 24/7 CCTV security systems. Your location does not really affect your quote. This is just for us to know where should the modules be delivered, picked up and returned. You can take as much time as you need in storing your stuff on the modules. Packing supplies are not always readily available at home. Not unless you’ve purposely bought them for the move. But really, we can take care of that for you. And even help you save on that. Prices start from $2.99 to $740, depending if you only need a Marking Pen or you need a Large Moving kit. The win-win situation is when you pay for 12 months or more then all packing supplies become complimentary. This is very advisable and we, in fact, encourage you to get one. You can arrange insurance agreement with us, or choose your preferred goods in transit and storage insurance company. Either way, we will help you arrange insurance for your goods. The size of the storage unit is conventionally one of the greatest factors to the overall self storage cost. This goes with the location and the structure. And finally, the facility’s security requirement. Obviously, the bigger the unit is, the more expensive it will be. Furthermore, if the facility is located in an urban area, the more expensive it is than in small towns. Fret not, however, Macy’s make it a point to give you a competitive price. This is very important for self storage service firms. It is pretty straightforward since clients need reassurance that their stuff will be safe in the location. It will be more reassuring to pay more for a highly secured facility than pay less for a poorly secured location. After all, one of the main reasons you store is the security for your stuff. 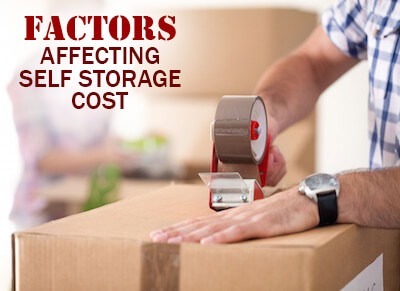 These are all the factors affecting self storage cost. They are all factored in and carefully calculated to come up with individual charges for each customer. What you need to keep in mind though is that at Macy’s, we ensure you get the most of your money’s worth. And if you find a cheaper deal we’ll beat it for you by ten percent! What else are you waiting for? Book your storage today. Want to know about our storage calculation? We offer self storage calculator to give you a rough estimate how much you might need to spend. Try to use it. It’s free! And call us for more questions. We would really be happy to assist you with your self storage needs. This entry was posted in Storage and tagged secure self storage, self storage, self storage facility, self storage units.